The real swans don't look too bothered by the usurper. 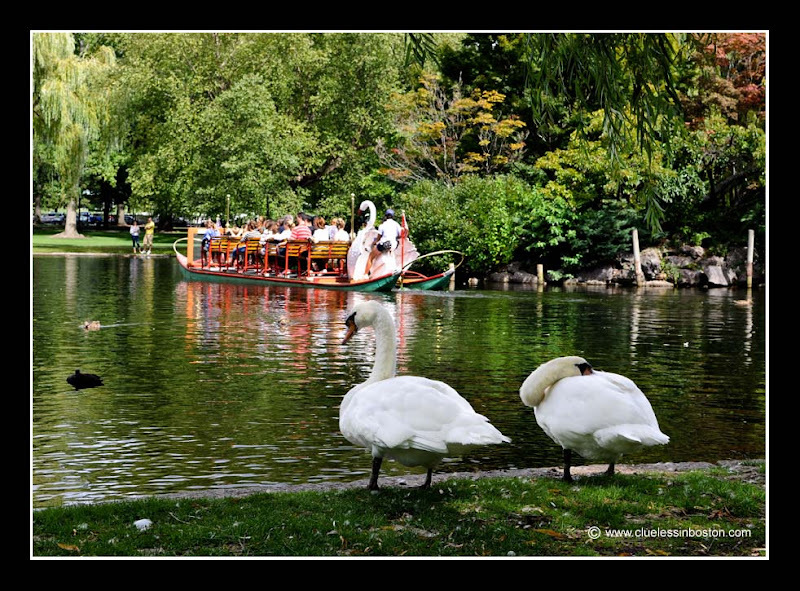 Ah, the Swan Boats... wonderful memories of our little one growing up. Just Ducky! I know these swan boats from Robert McCloskey's "Make way for Ducklings".